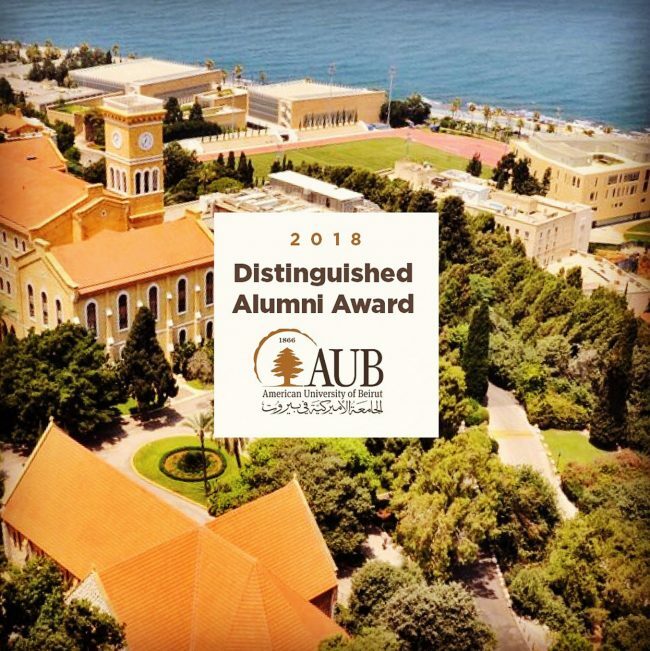 The American University of Beirut (AUB) selected Tarek Atrissi to receive the 2018 Distinguished Alumni Award. This award is given to one alumna or alumnus every year in recognition of a stellar career. 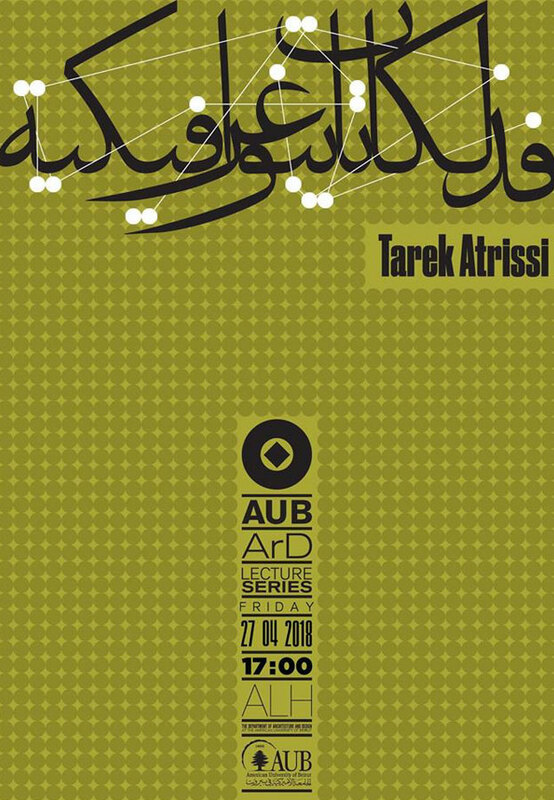 Tarek Atrissi completed his undergraduate studies at the American University of Beirut, receiving a BA in graphic design with distinction in 2000. The award ceremony was held on the 25th of April 2018 at the university campus in Beirut, Lebanon. 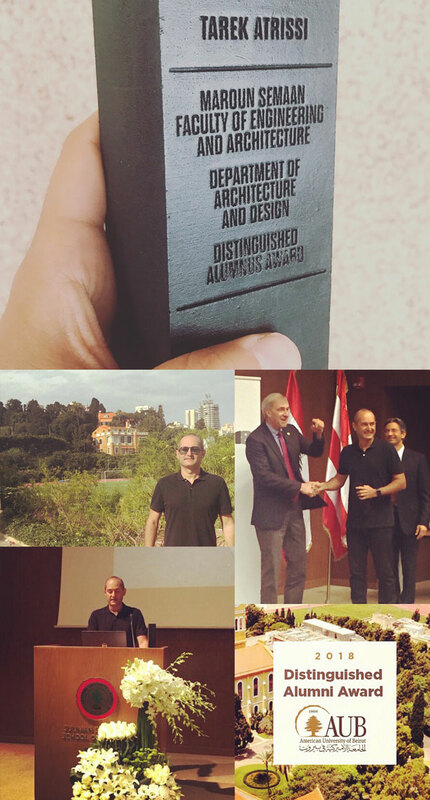 The department of Architecture and Design of AUB invited Tarek Atrissi to give a public lecture on 27 April 2018, during which Atrissi gave a talk summarizing his career and his design studio’s philosophy of work. The lecture poster was designed by AUB faculty member and renowned designer Reza Abedini. This is the second time Atrissi is honored by one of the academic institutions he had attended as a young designer. In 2014, Atrissi was added by the School of Visual arts in New York to its list of “Noteworthy Alumni”, the list that includes the college’s most prominent and accomplished graduates of SVA.